Whether it's emergency service or regular plumbing maintenance, trust the professionals at AVS Plumbing & Heating. From time to time, the faucets in your home will need repair, maintenance and replacement. Most of us use the faucets in our home frequently, which eventually will cause wear and result in water drips and leaks in the handles or base. If your existing faucet cannot be repaired, or you simply want to update the look of your faucets, AVS Plumbing & Heating carries high quality faucets from makers like Moen, Delta and Kohler. Browse their product lines online, or ask us for product literature. Whether it’s a new innovation in showers that you are looking for such as rain shower heads, or if you just need to replace an old worn-out shower head, we can help. The same manufacturers that bring you high quality faucets — Moen, Delta and Kohler — also make top quality shower heads. Let us know what type of shower head you are interested in, and our experts can show you what our manufacturers have to offer. A toilet that continuously runs can not only be annoying, but can cost you money. Constant running water — even if it’s a drip — can add up over time. Aging parts and seals on toilets can also cause leaks that can damage your flooring. AVS Plumbing & Heating offers toilet repairs, and can install new toilets from manufacturers like American Standard, Kohler and Gerber. There are many things that can cause pipes to burst — blockages, age and freezing — and when it happens, it’s costly. 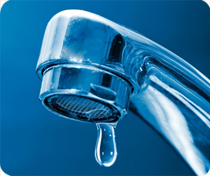 Burst pipes can cause flooding, which can lead to mold issues and even foundation problems. The key to never having to deal with burst pipe repair is prevention, however if you happen to experience it in your home, call the pros at AVS Plumbing & Heating. We will fix the problem fast to help minimize the damage. 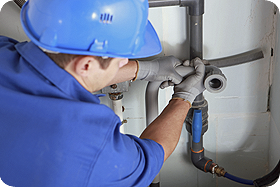 Over time, build-up in pipes can cause drain flow issues. Slowly draining water is the first sign, and can quickly escalate to complete clogs and damaging overflow. Store brand drain cleaners are ineffective at clearing clogs, and can damage your home’s pipes. Because harsh chemical drain cleaners travel along the bottom of pipes, the chemicals simply burn a whole in the bottom layer of build-up. While this may temporarily speed the flow of water in the pipe, it does not clear the entire clog. Additionally, the chemicals used to eat the clog can do the same to your pipes. AVS Plumbing & Heating recommends having slow or clogged drains first cleaned by a professional using the proper drain-clearing equipment. Next, we recommend using BioClean. BioClean is a safe and effective product that keeps drains clear without harming your pipes. View more about how BioClean works in the video below. If your house is old or simply was built with low quality piping, the long-term health and value of your home may be in jeopardy. To ensure that your home stays safe and retains its property value, have an expert from AVS Plumbing & Heating evaluate your pipes. If your home is in jeopardy, our team can do whole house repiping to get your home in top shape.